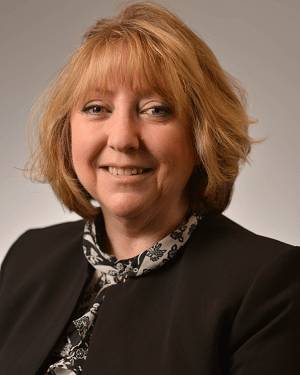 Experienced health information leader Cherie Smith, MBA, RHIA, LPICS, has been named regional director of health information management (HIM), coding, and clinical documentation for St. Peter’s Health Partners (SPHP). In this role, Smith is responsible for driving SPHP’s electronic health record (EHR) system optimization, coding and reimbursement, as well as clinical documentation improvement initiatives through provider education, compliant practice, and collaborative management with quality, compliance, care coordination and revenue cycle excellence. Prior to joining SPHP, Smith served as vice president of network HIM, coding, clinical documentation improvement, and revenue integrity for Allegheny Health Network, a Pittsburgh-based system with seven hospitals and more than 17,000 employees. Previously, she worked in health information positions for several hospital systems across the country to improve processes, implement ICD-10 coding, manage audit and compliance, standardize and harmonize EHR, and provide overall HIM leadership. She has served in HIM leadership roles at Wake Forest Baptist Health in North Carolina, Johns Hopkins HealthCare in Maryland, Fletcher Allen Health Care in Vermont, and Valley Baptist Health System in Texas. In the Capital Region, Smith served as a senior consultant at the Healthcare Association of New York State (HANYS), as a member of its HIM advisory, advocacy, and testimonial team. Smith is clinically and technically certified in Epic HIM, Clarity, and Bridges as well as Cerner, Siemens, and VistA. Smith has significant experience with other EHR systems such as MEDITECH and 3M 360 Encompass. She holds several professional certifications, including lean process improvement certified specialist (LPICS), American Health Information Management Association registered health information administrator (RHIA), and Institute of Internal Auditors certified internal auditor (CIA).